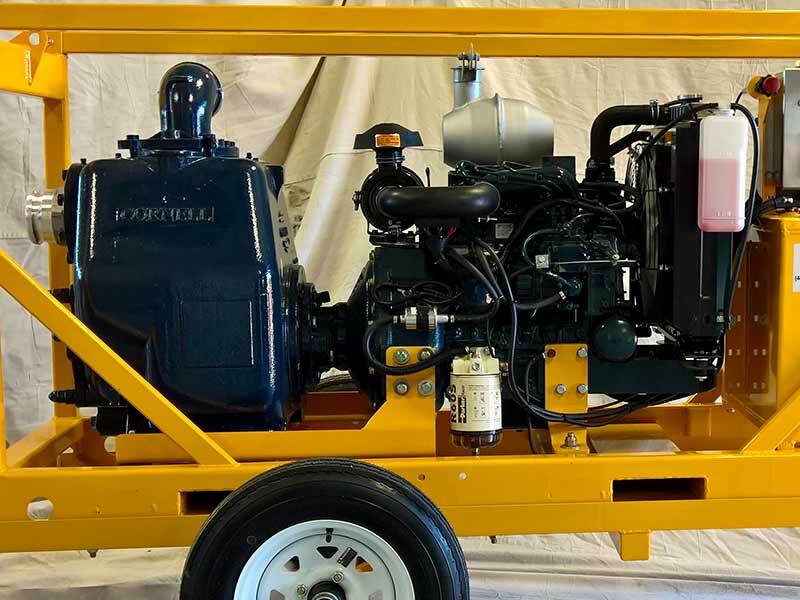 ES-CP41 4" Pump | Water Pumps | Equipment Source Inc. 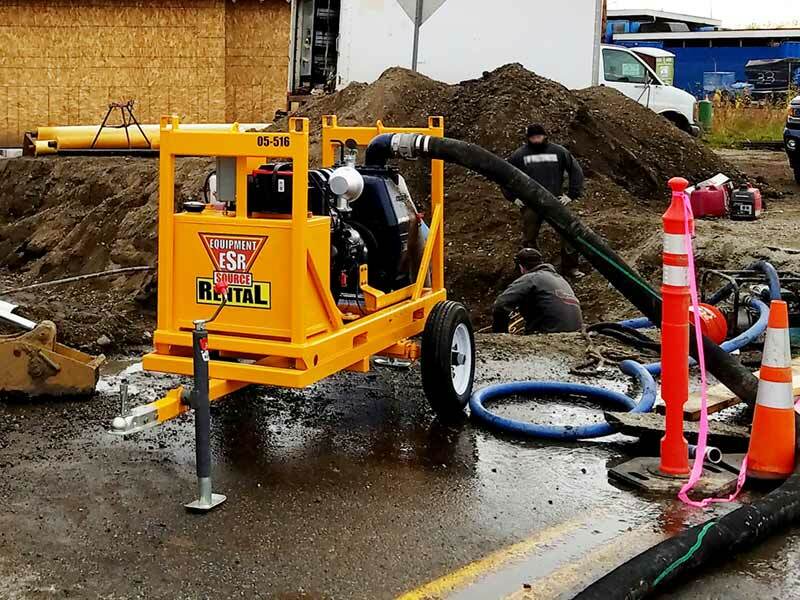 The ES-CP41 4-inch pump by ESI pairs a Cornell Pump and Kubota diesel engine for power, performance, and durability without compromise. 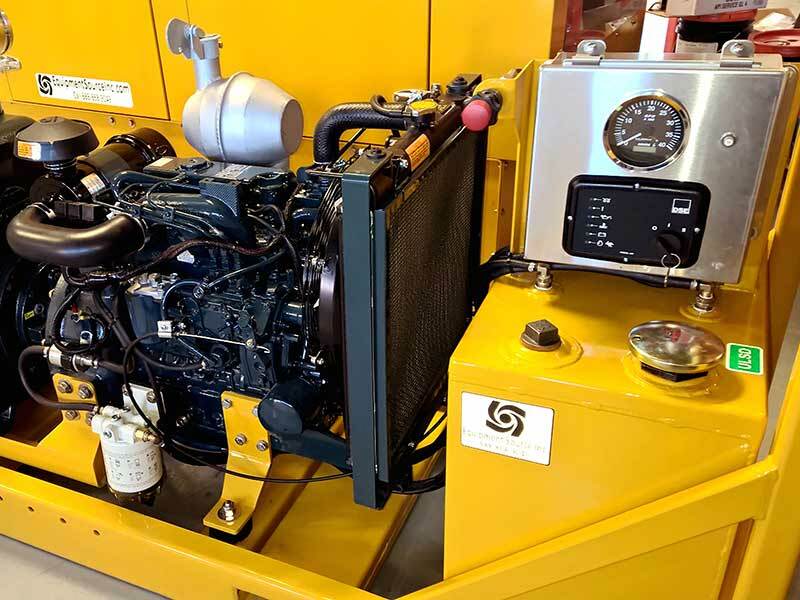 The STX-Series self-priming pump by Cornell is durable, reliable, and easy to maintain with an industry leading efficiency rating. It features ductile iron construction, patented Cycloseal® sealing system, and a uniquely designed volute for best performance. 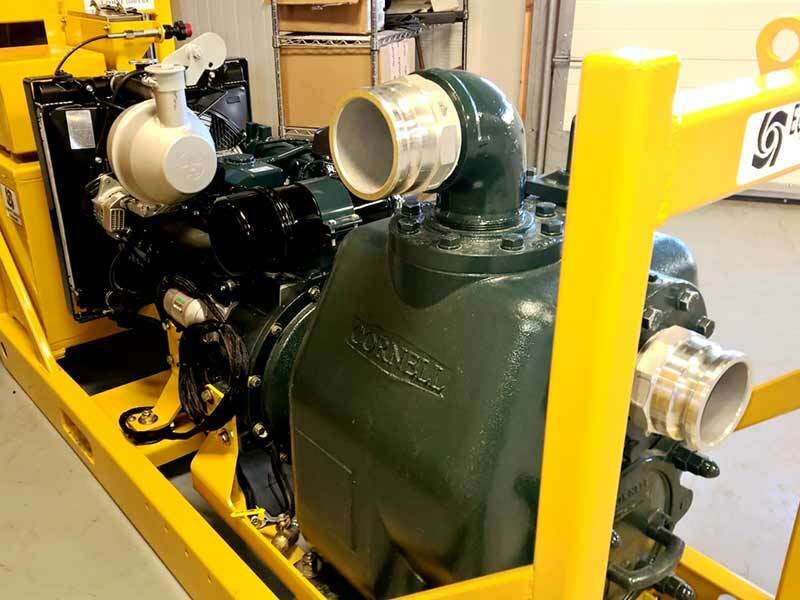 Driven by a Kubota diesel engine with a maximum shaft power of 24.8hp, this 4-inch pump set delivers a 900+ gpm flow rate with 3-inch solids handling and a 90-foot max head. 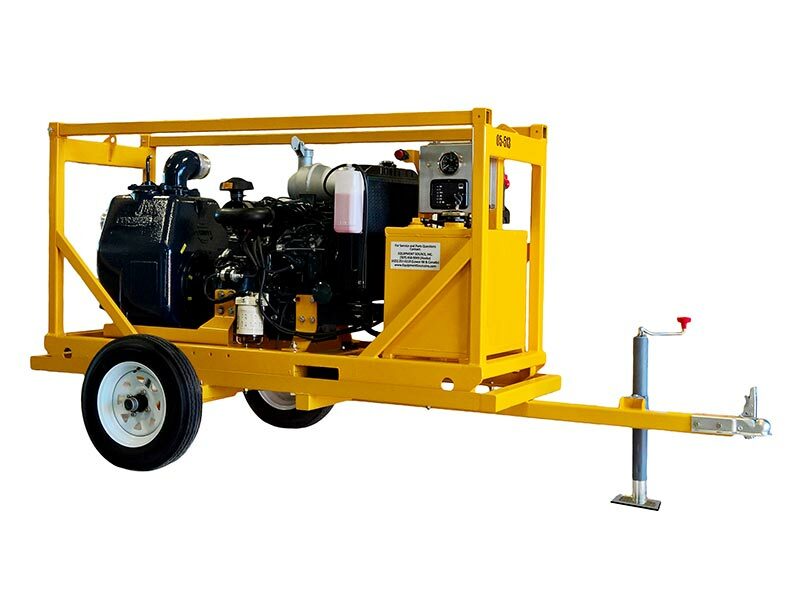 The ES-CP41 is available in ESI-built skid-mounted and trailer-mounted options. Both Arctic Tough configurations include built-in 25-gallon fuel tanks.